Brave is a good Disney film, but not their best by far. The story was interesting and not a path that Disney has gone before which is always nice to see, however the film felt a little hollow in the story at times. I think Brave had some very interesting characters with a great set of voice actors. The best thing though in this film is its amazing visuals which really show off the next generation of CG effects. The sound and feel of the film was pretty good in that the songs and background music were very Scottish, it sounds obvious that it should be so, but you’d be surprised. I would have quite liked to have seen more of the humor in this film because I thought it was the best part to the characters. To start off let’s talk about the acting. The voice acting that is, was very good and they chose some good actors for the roles. The main actress playing Merida (Kelly Macdonald) was good for the most part but I did find myself thinking that she was just a little bit annoying but that might have just been the writing, bit hard to tell. My favourite out of the cast would be Billy Connolly as King Fergus. He played that role so well because he had so much fun with it, just like the actors playing the other kings. The story in this film was very weird and I really don’t mind that other than the fact that it felt a little bit hollow, I think this might have been because of the short runtime but then again the lion king had the same runtime so I am not sure why the story felt like it was missing some depth. The character development between merida and Queen Elinor was pretty good but nothing I am really good at talking about so I’ll say it was a nice ending for them. So let’s talk about the visuals. The Visual are truly great in this film, probably the best for a kids film but this should in theory be true for each new film coming from Disney or Pixar. There are wonderful scenes with archery and horse riding which really show off the new CGI techniques and movement animation. I particularly remember a scene with a slow motion bow fire which looked fantastic, there was a clip of that I think before the film came out. The one thing I think has been missing from recent animated films is that they don’t seem to show any scary scenes with a baddy but in this film they actually did that with a big bad bear that nearly kills Merida, Oh No! Haha but still it’s something that is really needed and I am glad they had it in this film. 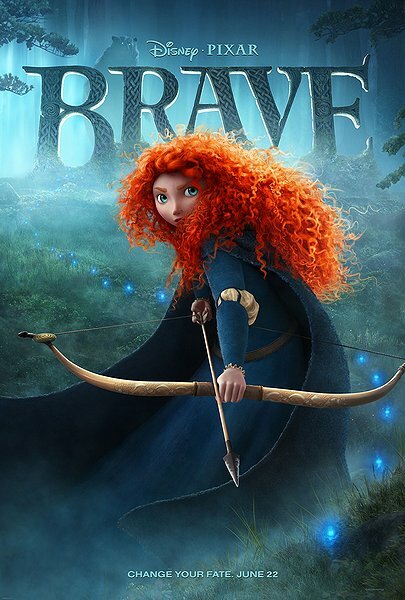 The best reviews I have found would be these “Brave isn’t quite up there with Up, but it’s still a masterfully-animated, ripping yarn with plenty of cross-generational appeal.” Film4. It’s not the best but it’s still very good and the animation is really top noche. Also “The hopping lamp gang has done it again, giving birth to a sharp, fresh fairy tale that in the pantheon of Pixar releases may not go down as a centerpiece but comes close enough to the bulls eye to sate movie going subjects kingdom-wide.” Erick Weber. I agree completely and I like that this is a new fairy tale. My favourite scene would have to be when the whole battle hall is filed with the four kingdoms firing arrows and screaming abuse at each other, really funny scene and just made me laugh for ages. Good review Tim. This one really disappointed me because even though it started off oh so promising, it just falls back into the conventional premise that we never want to see from Pixar. And hopefully, we don’t any longer. Thanks Dan, I don’t have a problem with it but it wasn’t as good as it should have been. 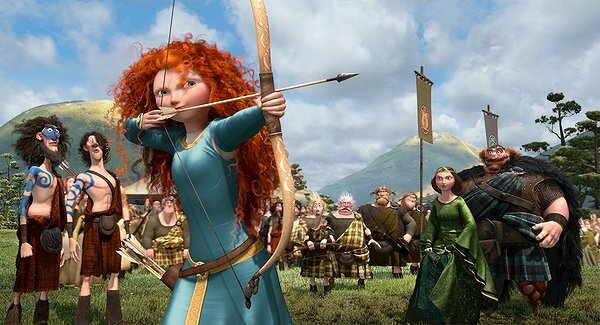 I was totally transfixed by Merida’s hair. I have read how difficult it is to do realistic looking hair in these types of films and that characters coif looked like it had to be a major undertaking. The movie was pretty good…I especially loved the triplets. I still haven’t seen it but I read this article about the special software they developed for Merida’s hair and the clothes. You can check it out here: http://online.wsj.com/article/SB10001424052702303836404577472942036042750.html. Great review. Now it’s definitely going to my ” must see” list. You wanted to see MORE humour?? Every male character in here (brothers, father, suitors) were all slapstick all the time. It was a little much, to be honest. And I don’t know how you found Merida’s voice annoying. Everything about that character was great. yeah, I got some mixed reception to my review because I didn’t praise it as highly as others who gave it the “Pixar Pass.” This one started okay but went in a weird direction that really was out of place. A fair score. I agree. The voices though were good. Stop being mean to Disney! You mean, mean man! 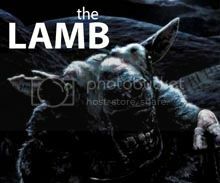 I adore this movie, can’t wait until the Blu-ray is released so I can watch it again. I actually like Kelly MacDonald as Merida but Billy Connolly as King Fergus is such a hoot, love him! I love the three red-headed triplets too, I found this movie to be even funnier than I thought. Agree that the visual is spectacular, they certainly invest a lot of money to make it look authentic. I definitely will get it as soon as it’s released! Btw, have you seen Skyfall yet? But in summary, I liked it! Cool, I check it out. Overall I like it too, though it didn’t quite hit the 5/5 mark for a couple of reasons. I wish I could say that I look forward to seeing this film; but I am just not a big fan of the Disney formula. You mean the guy who called his site ‘Written in Blood’ Doesn’t like the Disney formula haha 😀 it just cant be! Still need to see this one. Nice review.